Research indicates the need for teachers to be able to locate, evaluate, and use Internet resources in their teaching and learning processes. In addition, the Common Core State Standards require that students are able to think critically and know how to search and use alternative views and perspectives in their assignments. These skills are imperative for teachers and teacher candidates. 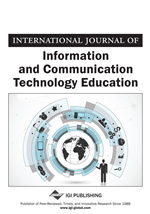 This article reports the results of a study that sought to examine strategies used by teacher candidates when using Internet search engines, their ability to integrate the information they find into their own assignments, and use the acquired skills for future classroom use. The study employed a mixed-method approach in the collection and analysis of data gathered from a sample of 45 teacher candidates. Data sources included a survey, class assignments that required documentation of the search process as well as the located sources, and semi-structured interviews. Findings from the study revealed the need to teach teacher candidates how to conduct searches effectively, critically evaluate the sources, and integrate the information acquired from the online sources into professional and academic writing that models such behavior for their students. Suggestions for improvement of practice offered in this paper were piloted in one instructional technology course. Today, most K-12 teachers rely on online sources for instructional planning, learning activities, and research projects with students. Some teachers and their students rarely visit the brick-and-mortar library because they can access the online library databases, and many use search engines such as Google, Yahoo, Bing, and the like to access information and resources through the Internet. Over 80 percent of academic, public, and school libraries offer some form of Internet access (American Library Association, 2000) with thousands of full-text electronic journals and serials available online. Yet, most teachers and students, before they use the library databases, first search for information using the Internet search engines, most often Google (Griffiths & Brophy, 2005) to obtain an idea. Some rely entirely on Google and Wikipedia for all the information used in their teaching (Judd & Kennedy, 2011). Because of that, the Internet has been labeled as the “K-12 research tool” (Guinee, 2004). Though the number of online databases and other resources on the Internet continue to increase, the quality of and the effectiveness of the Internet and database searches do not (Brem & Boyes, 2000). Research indicates that while teachers are able to access information from the Internet, many fail to understand that not all the information gathered from online sources is reliable or effective for use in teaching and professional writing (Menchen-Trivino & Hargittai, 2011). Even those teachers who do locate good instructional materials online have trouble understanding how to critically evaluate and incorporate the information they find into their teaching and professional writing (Howard, Serviss & Rodrique, 2010). A review of the literature on information literacy revealed a need for critical thinking skills for online or digital information literacy, that is searching for information online and applying the information obtained from the search in teaching and learning. Also discussed in past research is the need for a clear definition of online or digital information literacy and what it means for different groups of learners.